Intra Aerospaceâ€™s Quality Policy is simple: Weâ€™re not satisfied until you are. On-time Delivery and Customer Quality of Product, which shall be monitored by and measured through Management Review: ensuring ongoing success. A devotion to continuous improvement: guaranteeing our products and services meet or exceed our customerâ€™s expectations and standards. CLICK HERE to view our Quality Objectives. CLICK HERE to download a copy of our certificate of registration. 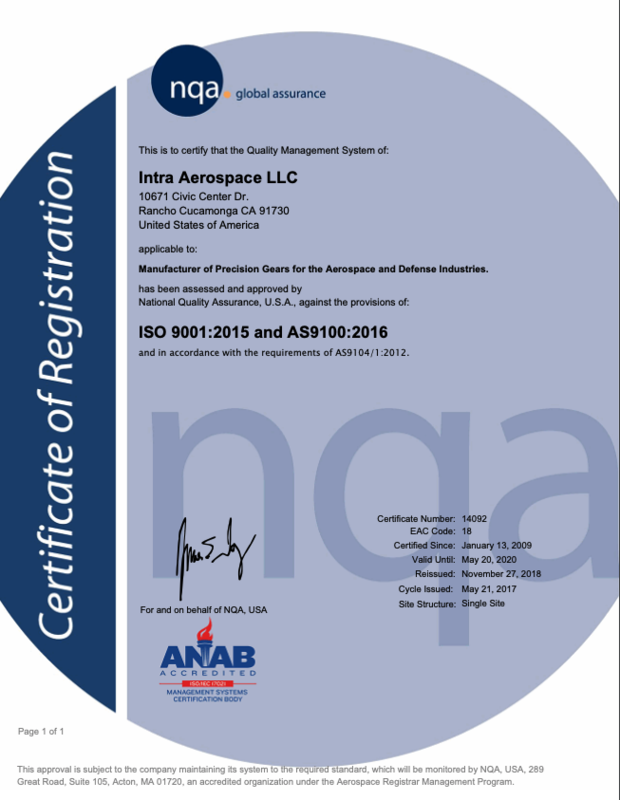 Intra Aerospace is certified to the requirements ISO 9001:2015 and AS9100:2016 Certification. These are internationally developed and recognized standards for business management and quality assurance, specifically designed to achieve significant improvements in quality and safety, and reductions in cost, throughout the value stream. ISO 9001:2015 is published by the International Organization for Standardization and places process management front and center, promoting a systems-based manufacturing environment to guarantee product reliability and customer satisfaction. Central principles of ISO 9001:2015 and AS9100:2016 Certification include: customer focus, leadership development, process optimization, continuous improvement, fact-based decision making, and mutually beneficial supplier relationships. AS9100:2016 was issued in January 2009, and is the quality management system that is specific to the aerospace industry and defines the requirements for a Quality Management System (QMS) based upon ISO 9001:2015 and AS9100:2016 Certification. This standard provides the opportunity for aerospace companies to implement a more effective, value-generating quality management system. Intra Aerospaceâ€™s entire organization is committed to delivering top-quality products on time at competitive prices, and our ISO 9001 and AS9100 certification is a powerful testament to our streamlined and cost-efficient manufacturing environment. CLICK HERE to download a copy of our ISO 9001/AS9100 certification in .pdf format. 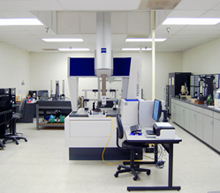 We invite you to visit our facility in Rancho Cucamonga, California, and learn more about our company, our services, and what our team can do for you. Please contact us today at (909) 476-0343 or sales@gear-tech.com. We look forward to working with you.